The Georgia Solar Energy Association (GA Solar), Georgia’s oldest, largest organization devoted exclusively to the benefits of solar energy for individuals, businesses and communities statewide, offers resources, information and opportunities you can use. GA Solar helps benefit Georgia's energy consumers by advocating for solar power in Georgia. Our organization does this by helping to inform local and state leaders about the kinds of policies that make the benefits of solar accessible to all. This advocacy supports investment and local economic growth that keeps Georgia’s economy strong. GA Solar also helps solar professionals stay abreast of the latest news, trends and standards, as well as providing them with networking and business outreach opportunities. By connecting home and business owners, we help Georgians find skilled solar professionals they can trust and provide guides to help consumers evaluate solar options. In addition, GA Solar helps consumers decide how to access solar energy in a way that saves them money on their power bills and reduces their environmental footprint. We help them find skilled solar professionals they can trust and provide guides to evaluate solar options. Click on our drop-down menus above to find the resources that best fit your needs. Also, please consider joining or donating to GA Solar to support our efforts to make efficient, effective, clean solar energy available to all Georgians. Comprised of leading experts in solar manufacturing and installation, academia, finance, and the law, GA Solar is leading the effort in Georgia to promote the economic and environmental benefits of solar energy through education, advocacy and industry support. Power up your solar connections by joining GA Solar. In addition to staying abreast of the latest solar news and trends, your support for GA Solar is the best way to keep the solar market growing in Georgia. Your dollars make our events and outreach possible, offering you and the community at large up-to-date information on technology, financing and policy. Our programs help keep you informed and offer the very best networking opportunities for solar professionals. GA Solar also keeps local and state leaders engaged and informed about the benefits solar brings to communities throughout the state. Join the Georgia Solar Community! Participate in the largest Solar networking community in Georgia by joining us as a member, by attending our quarterly public events, or just signing up for our newsletter! Learn more about solar, ask questions, and get helpful advice from other businesses and homeowners in our community forum. Launching late 2017, our forum will open to the public, with specialized members-only message boards for our business community. Our Public GA Solar Forum, Coming Soon! 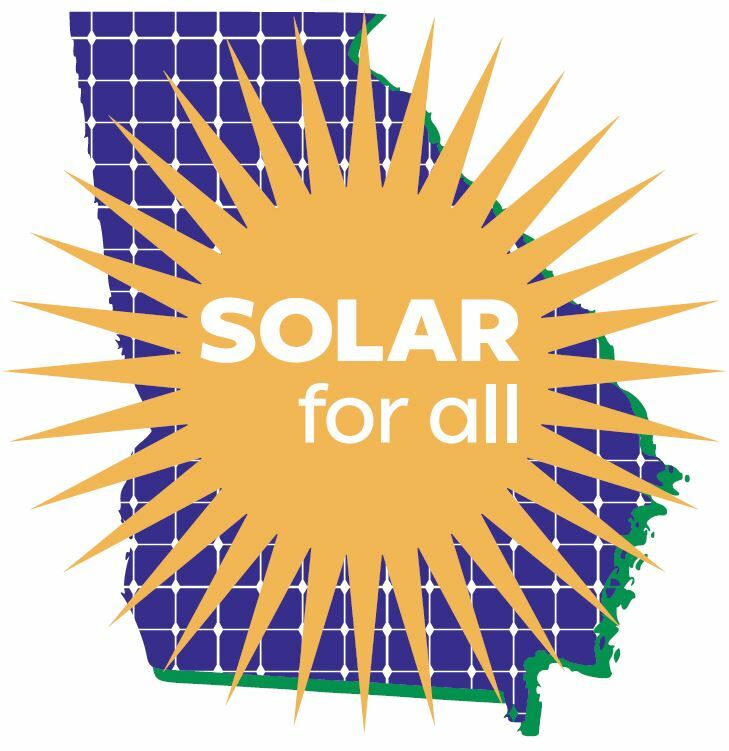 Donate to GA Solar's "Solar for All" Campaign Today! Have you experienced Anti-Solar discrimination? Click below to lodge your complaint!